How much is used gold jewelry worth? Determining the value of used jewelry is at least as important as determining the value of your car or your house because sometimes, the value of jewelry can be tremendously high. Understanding the value makes not only selling easier, it also helps to determine the appropriate insurance coverage. The most common occasions why people need to understand how much used gold jewelry is worth are divorces and heritages. In some cases it can be required by law to know the value of gold to accept an inheritance properly. The crux of the matter is – it’s all about how much it’s worth. Especially inheritances can be very complex to handle because usually no paperwork relating to the inherited jewelry is present, if so, it is too old to be used for a contemporary evaluation. Divorces are sometimes much easier to handle because purchase receipts or bill of sales are often kept for insurance purposes what makes at least a vague evaluation possible. But how can you help yourself to understand the approximate value of your jewelry at all and is doing a self-evaluation a serious option compared with hiring a professional appraiser? The short answer is, there is no short answer. 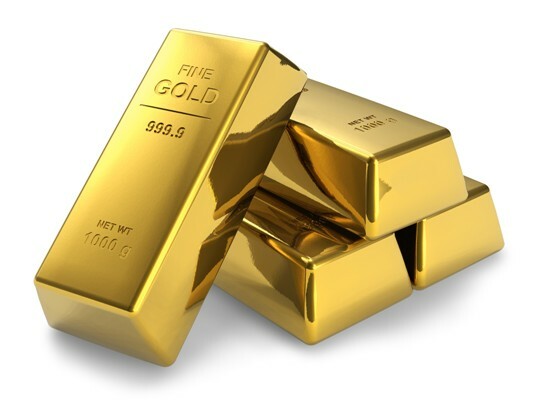 What makes gold jewelry valuable? “The gold’s weight, the gold’s purity, the jewelry’s brand and the gemstones” – those four indicators are most decisive for the value in jewelry, says Maria Tait, reDollar Expert for jewelry and gemstones. But of course, also the condition and the appearance in general are impacting the value. Sometimes, boring looking jewelry can be worth a fortune while a fancy, sparkling piece sells for just a few dollars. Not always but very often even laymen are able to separate the treasure from the trash when they spend some time examining their jewelry. 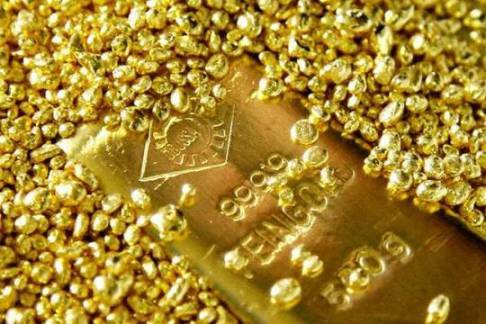 In the first step, a jewelry owner wants to find out if the pieces he owns are made of real – also called solid – gold. That’s easier than most people would assume because almost all items made of solid gold are clearly marked with a so-called gold stamp. In the United States, solid gold jewelry is marked as 10K, 14K or 18K what indicates the purity/quality of the gold. If the gold jewelry was bought abroad, another type of gold grade designation could have been used there. European gold jewelry for instance can be marked 585 or 750 – the marking 585 stands for 14K and the marking 750 for 18K. Using a magnifying glass will make the job of spotting the engraved stamps much easier. Gold markings are sometimes hard to identify when the jewelry was worn over a very long time. As soon as you know your jewelry is made of solid gold, you also know that there is a certain value associated with it, no matter if it’s still nice looking or even damaged. Watch out for branded jewelry. A brand is sometimes a value-booster making your jewelry very valuable and attractive for selling. 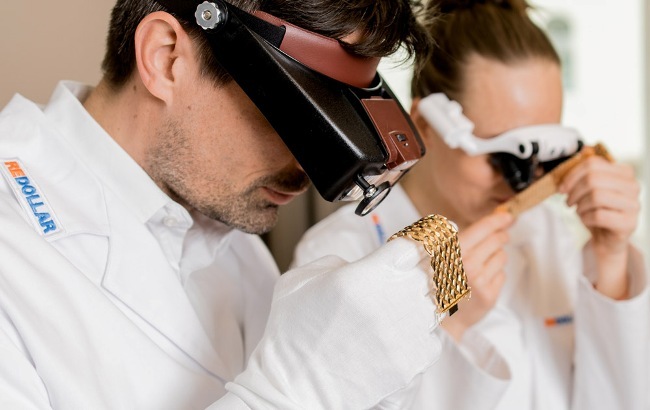 Jewelry brands like Tiffany & Co., Cartier, Van Cleef and Arpels, Chopard, Mikimoto, Bvlgari, Piaget, Graff, Buccellati or Harry Winston are highly sought-after from collectors. But hold on and don’t get too excited if you own jewelry made from one of those brands. Tiffany & Co. for instance is offering a sterling silver series and mass-produced silver rings will sell for much less than hundred dollars. Similar circumstances also apply to Bvlgari jewelry. A pre-owned Bvlgari sterling silver ring is probably worth one hundred to two hundred dollars. Well, most other mentioned brands are usually doing much better but to come up with another example of “little value in luxury brands” – Mikimoto will probably surprise you. It’s not uncommon to see Mikimoto pearl earrings or pearl necklaces selling for a couple of hundred dollars. If you bring some time to browse the internet, to compare and search for recently sold items on eBay, Sotheby’s, Invaluable or other marketplaces, you will realize it’s helpful to better understand the value in your jewelry. To conclude we are talking about gemstones and diamonds what is probably the most difficult and complex part of understanding the value of gold jewelry. Especially, the value of colored gemstones is almost not to comprehend or understand for laymen without any experience or knowledge in that field. Even dealers and appraiser are constantly arguing about it. The author of this article for instance, showed a very nice 2.5 ct emerald to five appraisers and received evaluations between $500 and $1,500. How can laymen be able to determine the value of a gemstone when even professionals are in disagreement? There is actually, almost no way to do so. Another problem with colored stones is that even a lab created emerald can be legally called emerald if it’s an emerald from the chemical point of view. So finding out if an emerald was lab-created or natural mined is a must to distinguish between a stone worth to take a closer look and a lab-created stone of little, frankly, almost no value. And sorry about keep on confusing our readers, but even knowing that a stone was natural mined doesn’t mean at all that a significant value is present. If a natural mined sapphire, for instance, got glass-filled or tinted, no value is left. To bring it to the point – with no grading reports available, there is almost no way for most people to understand the value of their gemstones and to find out if their gems are really worth to work on. 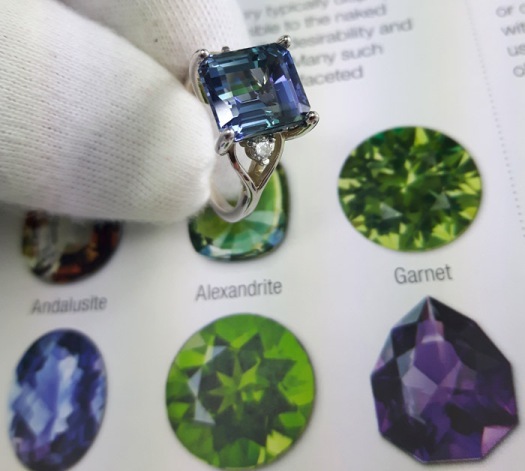 Because times are changing and many buyers don’t mind if they own a natural mined gemstone or a lab-created stone, prices are dropping and the demand for “average graded gems” is really limited. Only best of best gems are sought-after and marked with a big price tag. Diamonds are at least as complex to evaluate for laymen as colored stones are. The industry calls it the “4Cs of diamond quality” when it comes to the quality and value estimation. The carat weight, the color grade, the clarity grade and the cut grade are the four most important facts to appraise a diamond. Appraising gold jewelry is possible but tough work and needs your full attention. If you have plans to sell very valuable jewelry, either knowing a reliable buyer is fundamental for getting paid a fair price or hiring an appraiser is highly recommended. If your preference is hiring an appraiser, make sure that the appraiser is providing you a “fair market value appraisal” and not an appraisal for insurance purposes. You would never ever find a buyer offering you the appraised value for insurance.